On this first card I used on of the Create a Card bases. I love this file folder shape. I cut 2 circles out with my Silhouette and then added the cute dragon and present stickers to the circles with pop dots. 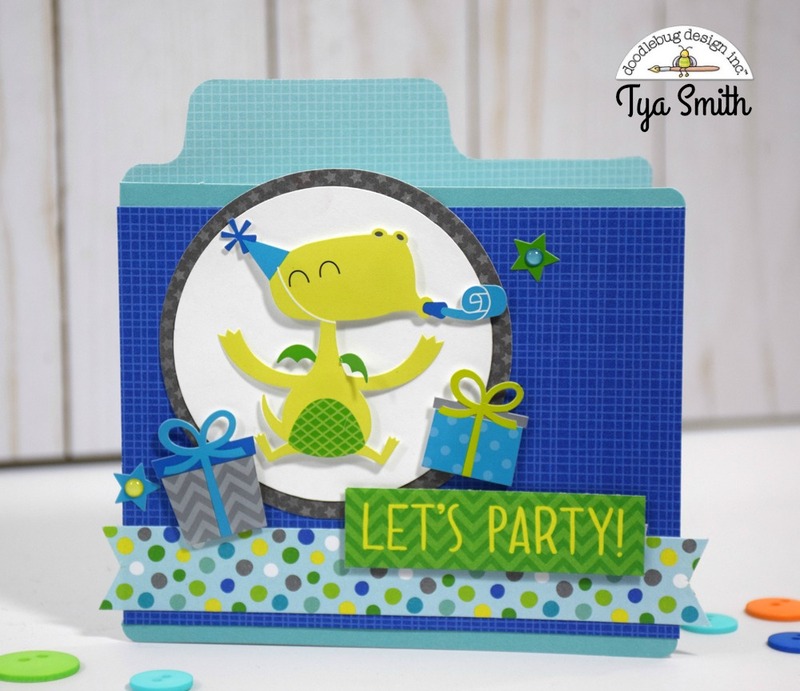 I cut the Let's Party sentiment out of the Sea Serpent Stripes paper. The dot paper on the bottom is from the border strip paper and I notched the ends. I added some star stickers to the card and added the tiny enamel dots from the Birthday Treats Shaped Sprinkles to the centers. The next card I cut a 5x5 inch cardstock base out of Tangerine Textured Cardstock. I then added a piece of Party Time paper for my background. I layered a strip of Blue Jean Swiss Dot from the 6x6 pad in the center. 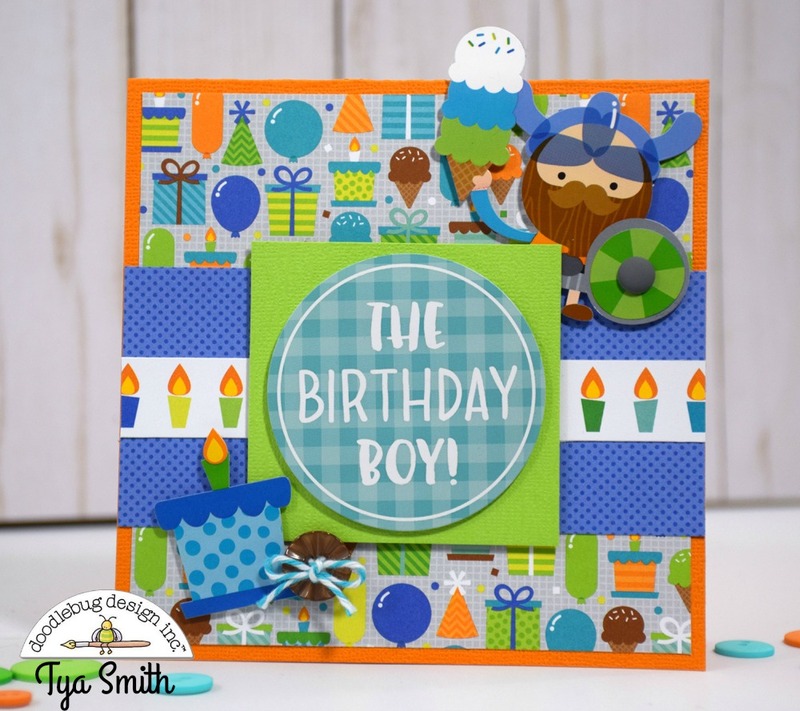 I added the "birthday boy" sticker to a piece of Limeade Textured Cardstock. I also added the cute ice cream holding Viking sticker and a present sticker from the Icon sticker sheet. I embellished this card with a grey Matte Sprinkle on the shield and a brown button tied with some bakers twine. The last card I cut a 4 1/4 x 5 1/2 piece of Limeade Textured cardstock for the card base. I cut a piece of Hip Hip Hooray paper on a diagonal and added it to the right side of my card. I cut a strip of Mandarin Gingham Linen paper. I added that on a diagonal on top of the dot paper and cut off the excess on the ends. This card also has a few more stickers from the Icon sticker sheet. The sentiment, blue dragon and heart are from that sheet. I added a couple of stars and the green dot egg stickers from the Mini Icon sticker sheet. 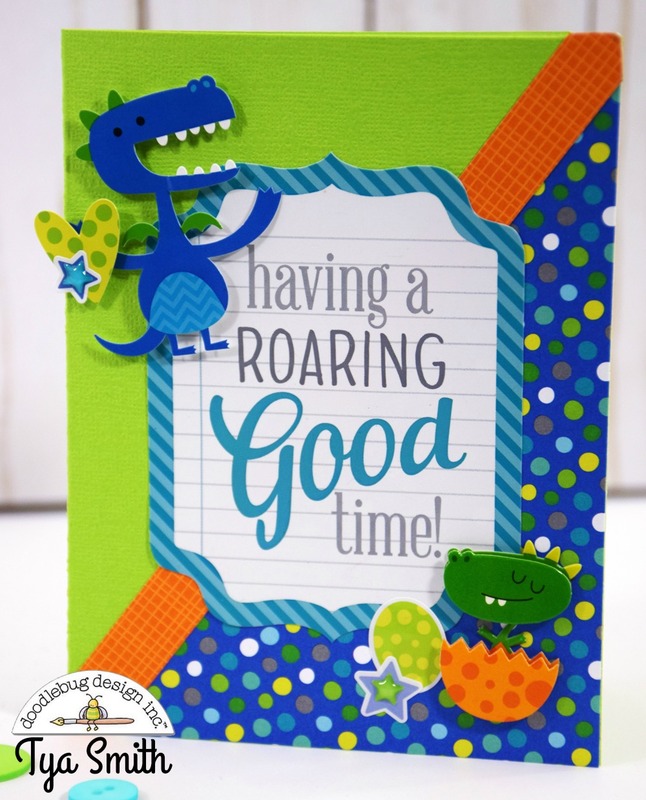 This card is finished off with a cute dragon in an egg from the Dragon Babies Mini Icon Doodlepop. Hopefully I have inspired you to pick up a few pieces (or ALL the pieces!) of this amazing line. 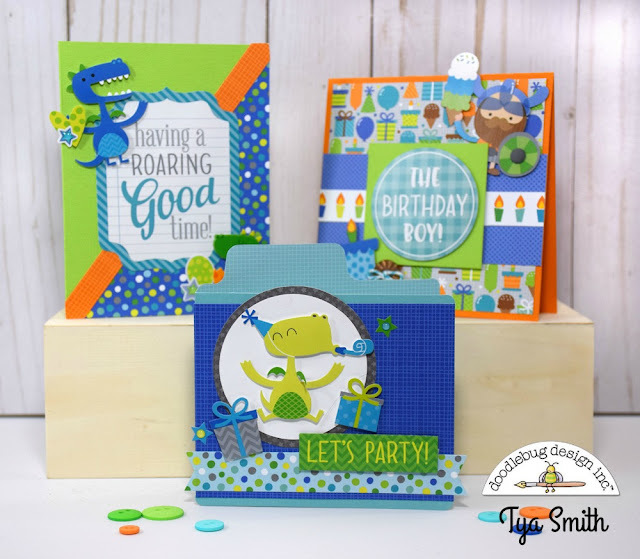 I have a few nephews that I am dying to give these too! Thanks a bunch for stopping by today! Have a great weekend!